The new and improved Turbo 4000 Series II is quieter and has a re-engineered housing that resists de..
Patented in-line-design - provides ventilation for engine compartments, galleys, bilges and heads. M..
Can be turned and pivoted in all directions, and locked in position. 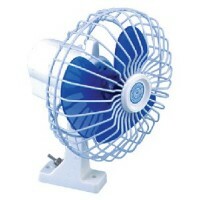 For air circulation in cabin or.. Safe, efficient and have high volume evacuation of hazardous vapors on vessels equipped with gasolin.. 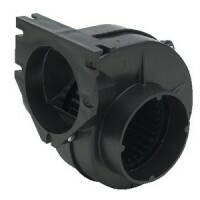 CONTINUOUS HEAVY DUTY BLOWERS have a minimum life of 10, 000 hours, making them ideal for general en.. 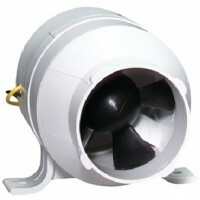 Extra heavy duty marine radial blower is designed for engine compartment ventilation prior to startu.. Radial flow design. Produces a substantial output at relatively low RPM's. 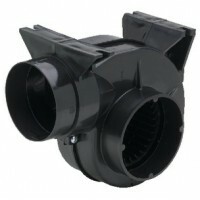 Low noise level make exce..
3 in-line blower Volts: 12CFM: 158Duct: 3"..
4 in-line blower Volts: 12CFM: 240Duct: 4".. 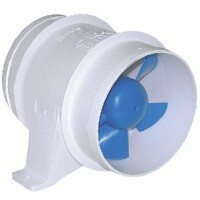 Provides ventilation for bilges, engine compartments, galleys and heads. 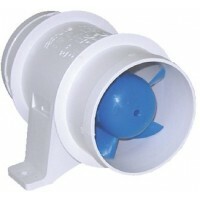 Designed for efficient, hig..
Housing is molded tough corrosion-proof ABS plastic. Rugged built-in mounting brackets for easy inst.. Plastic base with toggle switch control. 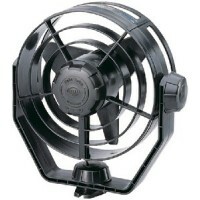 90° oscillating motion. 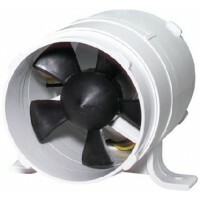 Rust proof white vinyl coated fan g..